If you are interested in safe and natural remedies for prostate health, consider taking bee pollen products. Diseases of the prostate are some of the most common health concerns for older men, with more and more patients seeking non-surgical treatment. Bee pollen is a nutritious health food that protects the prostate from illness and may offer treatment for prostate disease. Talk to your doctor to discern if bee pollen is right for you. Bee pollen has become popular as a natural health food and nutritional supplement. The honeybee gathers pollen from male flowering plants and pollinates female plants. Depending on where the bees gather the pollen, it may have different nutritional and pharmacological properties, but most bee pollen products will contain good amounts of carbohydrates, protein, simple sugars, vitamin C, quercetin, rutin, beta-sitosterol, kaempferol, rutin, essential fatty acids and some trace minerals. Along with supporting the health of the prostate gland, bee pollen is good for the liver, the immune system and helps to reduce allergies. Bee pollen may be an effective complementary prevention and treatment of the condition known as benign prostate hyperplasia, or BPH. In a review of research published in "BJU International" in 2000, researchers from the Minneapolis VA Center for Chronic Diseases Outcomes Research looked at studies exploring the effect of a bee pollen product on BPH. They concluded that the majority of published research showed bee pollen products had a beneficial effect on symptoms of BPH and people who took the product tolerated it well. If you suffer from BPH, consult with your health care provider to find out if bee pollen is suitable for you. Studies show some types of bee pollen may offer specific protection against prostate cancer. In a study published in "Phytotherapy Research" in 2007, researchers from Zhejiang University in China looked at bee pollen from a Chinese herbal medicine and its effect on prostate cancer. When applying bee pollen from the plant family brassica campestris to prostate cancer cells in vitro, it triggered the self-destruction of the cancer cells. Researchers concluded that this type of bee pollen might offer a natural treatment for advanced prostate cancer, though this needs more research to test its safety and effectiveness in humans. Bee pollen is a natural source of the fatty substance known as beta-sitosterol. In an article published in "Life Extension Magazine," Dr. Stephen B. Strum and William Faloon state that beta-sitosterol is a popular plant-based drug used by doctors in Europe to treat issues of the prostate. Beta-sitosterol has improved the symptoms of benign prostatic hyperplasia such as urinary flow rates and residual bladder urine, and both directly and indirectly inhibit the growth of prostate cancer. 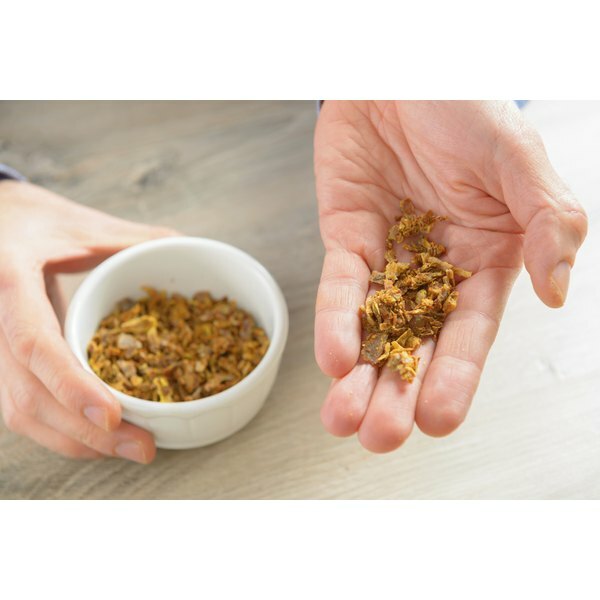 By taking bee pollen, you will also receive some of the benefits of this natural compound and its protective actions on the prostate. Bee pollen is generally safe and well tolerated by the majority of the population when taken as recommended, but if you suffer from allergies to bees, honey or other bee products, you should avoid bee pollen completely. If you are not sure if you are allergic, take a small amount of bee pollen under the supervision of your doctor. While there have been no drug interactions reported, check with your doctor before combining bee pollen with prescribed medications.